The story of Vieilles Vignes Françaises, one of Champagne's most mythical cuvées, began with English author Cyril Ray. Madame Bollinger heeded Ray's insightful advice to vinify a special wine from their unique ungrafted Pinot Noir vines. She had an anniversary cuvée produced in 1969 to commemorate her 70th birthday. The grapes were aptly picked one day before her birthday on October 1. Following the wine's launch in 1974, Vieilles Vignes Françaises (VVF) promptly became a collectible. Over the decades, its uniqueness and scarcity have made it one of the most sought-after and expensive Champagnes. Moreover, and much to its credit, it has almost on its own established the reputation of the blanc de noirs Champagne style and contributed greatly to the rise of the single-terroir Champagne phenomenon. It is produced from Champagne's few remaining pockets of ungrafted vines, which preserve this ancient cultivation heritage for generations to come. With the older vintages becoming nearly impossible to find, a group of collectors embarked on a mission to gather all 21 vintages for a once-in-alifetime tasting in Helsinki. It took seven collectors from several countries to make it happen, and even if we all knew that coveted bottles like these, purchased on the secondary market, would inevitably mean several less-than-perfect bottles, we were all willing to take the risk. Sadly, several of our rare bottles did turn out to be damaged by poor storage, and two reputable vintages, the 1996 and 1985, suffered from cork taint. Since our tasting, Bollinger has launched the 2005 vintage, which is the first brut nature Vieilles Vignes Françaises. Bone-dry nature will not be the new norm for VVF, the Bollinger team assures me, but is, rather, the end result of consecutive tastings of this particular vintage. It is only the fourth completely dry Bollinger Champagne, preceded by the 1947 Vintage, the 1959 RD, and one Non-Vintage cuvée. The new vintage of VVF has received a completely new look-a contemporary and sleek appearance. To complete the series, I also review it in the notes below. Vieilles Vignes Françaises is a genuine "living legacy" wine, a memory of the era prior to the ravages of phylloxera. This calamitous louse, which destroyed the vineyards of Europe, first attacked Champagne in 1888 via the Aube. In two decades, it conquered nearly all vineyards, and replanting needed to be done by grafting vines on to American rootstocks. This meant abandoning the traditional form of cultivation- provignage (explained below). A few vineyards in Champagne resisted and still support vines on their own roots. The name "Vieilles Vignes Françaises" might conjure up an image of thick trunks of ancient vines. Actually, the name refers to the old method of vine growing in France. Unlike the neat rows of horizontally trained vines so familiar to us, provignage, or layering (also called en foule, meaning "in a crowd"), results in a cramped, slightly unkempt-looking vineyard of seemingly infant vines. In this system, the vine renews itself constantly by layering a previous year's cane in November. Above the ground, it forms a new fruiting cane, and under the ground it grows its own roots, adding to the thick, zigzagging carpet of roots. The layered vineyards are extremely densely planted, with some 30,000 vines per hectare, compared to the regional average of 8,000 vines per hectare. Moreover, these vines, which are vertically trained on poles, yield a much smaller crop. At Bollinger, they leave only two or three buds per vine, whereas a conventionally trained vine in Champagne has some nine or ten buds. As a result, the yield per hectare is some 35 percent lower. These laborious vines are meticulously tended by hand. Since 2008, Bollinger has followed organic principles but is not seeking certification, in case a difficult harvest needs rescuing by non-organic means. The grapes from these specially tended, low-yielding, highly protected vineyard spots ripen commonly a week earlier than neighboring vineyards. The resulting wine is always concentrated, but overripeness has been a challenge in the past, when there was no escaping from the centrally determined harvest dates for each village. Nowadays this potential problem can be avoided, because if grapes exceed the minimum picking ripeness (9% potential alcohol) by 0.5 degrees, the grower may start harvesting earlier. In 2013, for instance, Bollinger requested and received permission to pick early. How have a few pockets of ungrafted vines survived in Champagne for over 100 years? It is known that phylloxera does not thrive in highly sandy soils, and this may explain why Chartogne-Taillet in Merfy, Tarlant in Oeuilly, and Nicolas Maillart in Ecueil can grow small plots of vines on their own roots. According to Bollinger's chef de cave Gilles Descotes, there is enough clay for phylloxera to live in its ungrafted vineyards. The survival of these vines is therefore a mystery, but Bollinger considers the walls around the vineyards to have played a role. Bollinger's Vieilles Vignes plots initially comprised three vineyards in Aÿ and one in Bouzy. Clos St-Jacques in Aÿ is a walled vineyard of 21 ares (0.5 acre) very near Bollinger's winery. The vines in this tiny sloping vineyard are all ungrafted; only half have been planted by provignage and the other half conventionally. According to Bollinger, the latter system gives higher yields and lower maturity. Comparing the two would be a fascinating experiment, but the crops are too small to be separately vinified. Clos des Chaudes Terres, also in Aÿ, is a walled vineyard that used to be Bollinger's back garden. Today, Clos des Chaudes Terres consists of 15 ares (0.4 acre), entirely planted en foule. The third vineyard, Chaudes Terres, a mere 6 ares (0.15 acre), used to be adjacent to Clos des Chaudes Terres but had to give way to Bollinger's expanding winery in 2005. The last of the original vineyards was Croix Rouge in Bouzy, 16 ares (0.4 acre), planted entirely en foule. Without the protecting walls, this plot finally lost its battle to phylloxera in 2004. It had been fighting for survival ever since 1998, when the pest first attacked the vineyard. Bollinger tried replanting without American rootstock but gave up some years later and replanted the plot with grafted vines. 2004 was thus the last vintage in which Bouzy fruit was used for VVF, and it will be an Aÿ mono-cru from the 2005 vintage onward. Bollinger's total ungrafted vineyard area has now shrunk from 58 to 36 ares (1.4 to 0.9 acres). The diminished volumes become obvious in the cellar, where one is faced with the shrunken barrel stack of VVF. The use of barrels is the cornerstone of Bollinger's Pinot-powered, deep, and vinous style. Lily Bollinger herself made the decision to stay loyal to barrels when others were moving to stainless steel in the 1960s and '70s. Even if barrels did not become extinct in Champagne, Bollinger's unique way of using them gives their wines an easily identifiable character. Vieilles Vignes Françaises is vinified similarly to the other Bollinger Vintage cuvées, meaning barrel fermentation followed by spontaneous malolactic and aging in wood. The barrels are randomly selected from Bollinger's 3,500-strong stock, but they aim to build a mix of older and newer barrels for each lot of base wines. Bollinger's barrels range from five to 110 years of age, averaging 30. In addition to this high average barrel age, the lengthy (six to seven months) aging in them enhances the oxidative effect. Even if the deliberate oxidative character is a defining feature of the Bollinger style, according to the recipe created by Madame Bollinger, it may occasionally seem a little too much for some, withering the fruitiness and masking the wine's finesse. The better to control the level of oxidation, the winemaking team has been taking significant steps. In 2009, former chef de cave Mathieu Kauffmann installed a protective system for racking the barrels that uses nitrogen to push the wine into stainless-steel tanks instead of draining it to open vats. Three unprotected rackings have probably taken their toll on the wines in the past, so I consider this improvement to be an important one. Another positive step has been the installation of a new temperature- and humidity-control system in the barrel rooms, which has allowed the loss of wine by evaporation -the "angels' share"-to drop from 5 or 6 percent to 2 or 3 percent in total. This amounts to some 100 precious bottles saved for a VVF vintage, but it also results in less oxidative impact. Recruiting Denis Bunner as an associate chef de cave for Descotes in 2013 will no doubt prove to be another worthy investment. 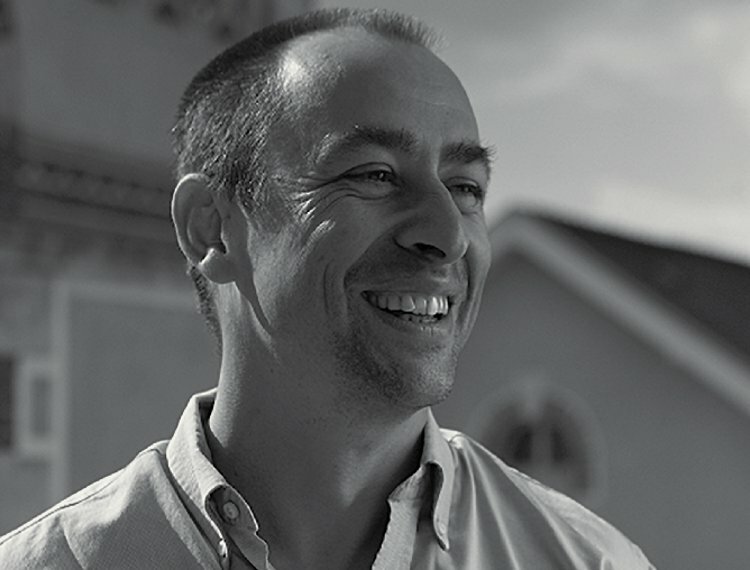 Bunner brings top-notch technical knowledge, since he worked for ten years on enology projects run by the Comité Interprofessionnel du Vin de Champagne, including research into jetting-a technique for controlling levels of oxidation during disgorgement. Bunner's experience was employed to good effect when jetting was introduced at Bollinger in January 2014. Based on the positive results, jetting will also be used for magnums from 2015. A traditionalist, Madame Bollinger decided to stick with natural cork for tirage when other houses were trading it for crown caps. Cork is still used for Bollinger's Vintage wines, including VVF. According to recent research, natural cork has some beneficial effects for long-term tirage but also leads to increased bottle variation. Each cork is unique, with its own individual effects on its bottle. Closing with natural cork for tirage also means manual disgorgement -a demanding task, the human nature of which also means more variation. Bollinger installed jetting to level out the differences in how its seven-strong army of disgorgers goes through its 1,400 bottles per day. Injecting a micro-spray of sulfured liquid into each bottle makes the wine foam and simultaneously pushes the oxygen out of the headspace. This is of great importance, especially at Bollinger, which, uniquely, adds no sulfur dioxide at disgorgement, following Tante Lily's guidelines. Since her era, the climate in Champagne has changed notably, resulting in lower acidity and higher pH, which means that her recipe may be more difficult to follow now than in the past. Jetting is not a remedy for already oxidized wine. But together with the steps described above, jetting should assist Bollinger in avoiding any undesired oxidative character. I find the effects of the improvements to be clearly evident in the latest releases of the Non-Vintage Spécial Cuvée and the Non-Vintage Rosé (currently based on the 2010 vintage), and I suppose that it will be equally positive for future releases of VVF. Bollinger is very much in motion today. This 185-year-old family-owned company's vineyard holdings have steadily climbed from 143ha to 164ha (353 to 405 acres) over the past 20 years. Bollinger has embarked on a mission of controlled yet ambitious growth, where the sales target has been raised to 3.5 million bottles. To achieve this growth, in 2008 Bollinger appointed its first president who is not a family member; Jérôme Philipon, with international careers at Nestlé and Coca-Cola, is the man at the helm. The growth plan is being executed successfully, but the new ways have caused some turbulence at this traditional house, leading to major changes in key positions, that of chef de cave included. Philipon's new dream team is now on a mission, however, injecting its own spirit to the brand. On my recent visits I have been especially impressed by the current winemaking duo in charge, whom the management supports with laudable resources for research and development. Returning to Vieilles Vignes Françaises: Quite understandably, this wine is not the highest priority at Bollinger. The 2,000 to 5,000 bottles in declared vintages account for a mere 0.1 percent of Bollinger's production and sell out at almost any price. The current 2005 vintage is priced at more than €500 per bottle. It is, however, a true cult wine, whose captivating story is perfectly matched by its one-of-a-kind taste. The defining character of VVF is concentrated, ripe if not super-ripe Pinot character. For my personal taste, many of the really rich vintages seem to be almost too much of a good thing, the wines being too big and too ripe. In line with that view, the house decided to skip the massively ripe 2003 vintage altogether. Conversely, some of the supposedly lesser years can yield a wonderful VVF, as the 1997 persuasively shows. Even so, 2001 was too challenging a vintage even for Vieilles Vignes Françaises, and the 2,964 bottles produced have never been released. Because VVF is first and foremost a wine, the bubbles are a mere side story in its incomparable richness. Over time it builds a honeyed, biscuity, and nutty character, often coming with lightly mushroomy notes when at full maturity. Depending on the vintage and on the individual bottle, the degree of oxidation seems to vary to an unusual degree. To me, Vieilles Vignes Françaises may often come second to La Grande Année in both complexity and aging potential, even if VVF also has proven fine longevity, despite its early roundness. Does it taste different from Champagne made from vines grown on American rootstock? It is very difficult to pinpoint the difference, so not obviously so, but the higher ripeness and the singularity resulting from the small-scale blending approach do make it different from other Bollinger wines: It is truly unique. The Helsinki tasting proved the old adage right: There are no perfect wines, only perfect bottles. For us they were the 1982 and the 1973. Note: A score in brackets indicates higher future potential. A novel wine in many ways. This is the first mono-cru vintage of Vieilles Vignes Françaises, without the Bouzy component. It is also the very first brut nature VVF. Deep, explosive, lifted red-fruit nose, with spicy coconut, ash, and oak complexity. A nose full of sun-drenched fruit, dried apricots, and even plums. A really powerful, even spirity, vinous palate, with punch and brandy aromatics. Soft acidity on the soothing palate of oily texture. A big and super-ripe year for VVF. This vintage was the last in which all three vineyards were used to produce VVF. A surprisingly evolved color. A mature nose as well, with a distinct brandy-barrel tone to it, showing some maderized characters. Oxygen has done its work here. Deep, dark fruitiness, with licorice, baked apple, and spicy-oaky characters. Concentrated, winey palate, verging on heavy and missing the usual energy of the 2004s. Not at a good stage on the day, but there is enough here to hope that it has another life ahead of it. The 2002 is as big and bold as one would expect from the vintage. There is plenty of sweet dried fruit on the nose, with botrytized aromas coming through. It has the hallmark apple-and-spice aroma to it, but it also comes with a warming, spirity feel. There is quite a striking contrast here between the ripe, fruity, lightly bruised, maturing, sweet nose and the beautifully acid-lined palate. There is charm in this beautiful, really deep and inviting wine. A soft, beautifully toast-lined coffee and cream, patisserie, honey-and-spice nose. A full, rich, and open palate, with a smooth texture and fine supporting acidity. I am drawn to this wine's seamlessness; it is not the grandest of vintages, but it is a beautifully complete one. Deep, soft, biscuity nose, with a delicious dried-fruit explosion and a complementary peppery undertone. A rich, velvetsmooth palate, with plenty of extract but without any hint of heaviness. Fortunately, as many as 5,067 bottles were produced. At our Helsinki tasting, the wine was spoiled by mercaptans. However, it is normally one of my favorite vintages, so I am including here a note from a blind tasting of blanc de noirs for The World of Fine Wine (issue 34) in 2011. Fine, creamy, and toasty developed nose, with lots of layers and abundant bright-fruit appeal. Red berries, flowers, yeast, apple pie, and soft spiciness. A rich, focused palate, with a stylish, creamy mousse. Voluptuous, harmonious, and velvety. Complete, with plenty of character. Curiously, this wine was bottled as late as 2000. Open, sweet, slightly singular apple and apple-pie nose, with sweet toffee and deep forest-floor complexity. Stylish, with plenty of good energy and bright fruit. Less concentrated but delightful. A superb effort from a lesser year. Wide open and charming today. I have been unlucky with this vintage so far. In this tasting, the bottle was corked, and the two previous ones I have tasted were oxidized. Judgment reserved. Exuberantly rich, botrytis-enhanced nose, with honey, apricot, aromatic wood, ashes, and tea leaves. Lovely freshness on the vivacious, perfectly integrated, mellow palate. Still tight and holding back some of its charms. A lovely vintage, even if it is not one of the most famous. A badly stored bottle at our Helsinki tasting. My other encounters with it have shown me its powerful red-fruit character and quite straightforward nature, with a touch of mushroom, nuts, and old oak. Mouth-filling and weighty, with huge concentration but also welcome freshness. It seems to be evolving faster than one might hope. Deep, peach-hued gold: a mature color. Another showstopper, with a strong, fruit-packed and spice-led character. Some cooked fruit tones as well. Round, plush palate, with just about enough freshness to avoid heaviness. My only recent example has been the poorly stored bottle we had at our Helsinki tasting, and it would not be fair to assess it on that basis. The good thing that stood out, despite the bottle condition, was the amazing acid structure the wine had. Deep, beguilingly sweet, fruit-led nose, with a ripe aromatic character reminding me of Alsace; flowers, spice, and apricot marmalade. A rich, voluptuous palate, with a fine concentration and crispiness. Fully alive, and with a luxurious, plush texture to it. Deep copper-tinted peachy gold. A fathomlessly profound, beautiful nose, with bright fruit and attractive coffee notes alongside perfumy litchi, mineral, earth, and spice notes, as well as tea leaves. Majestically powerful and concentrated, with beautiful linear acidity. No signs of tiring here, and it even comes with the potential for further improvement. Glossy bright red fruit, apricot, ground stone, and dust on the nose. Sweet, full, and rich oily body, with lovely acidity. A leaner, fresher expression of VVF. Many positive features, but even so, this bottle was not in perfect condition, so judgment is reserved. Bright golden, healthy color. Sweet apricot, apple, and light mushroom nose, with spice and wax undertones. Luscious, rounded, silky, and mellow palate. An okay bottle, but there were some disturbing nuances, and I expect better bottles to exist. The brown color immediately indicated that this bottle was not in good condition. A varnish character on the nose and dying fruit on the palate. Judgment reserved. I had high expectations of this wine, from my own vintage and tasted on my birthday! But I was disappointed by the bottle condition. There was fine freshness and linearity, but the aromas were mainly those from poor storage. What a pity! What a majestic wine. This came right after the disappointing 1975 and immediately consoled me with its grandeur. Deep golden, healthy color. Superbly deep and expressive toasty, woody nose, with added positive complexity from a note of Palo Cortado Sherry. So full of life, with a lovely acid line and compact, fruit-packed palate. Sheer vitality. As good a bottle as one could ever dream of. This sad bottle resembled Oloroso Sherry rather than Champagne. The legendary first VVF vintage. We were lucky with the condition of the bottle we had in Helsinki, even if I wouldn't consider it quite 100 percent. A strong, dark, soulful nose, with tart red fruit, dried apricot, soft spiciness, and earthy old-oak notes. A fine subtle mousse on the supple, concentrated palate. A generous mouthful, caressingly soft and well-nigh endless. Probably even better bottles exists: a thrilling prospect!